Our new paper compares a confocal and a color X-ray camera setup. 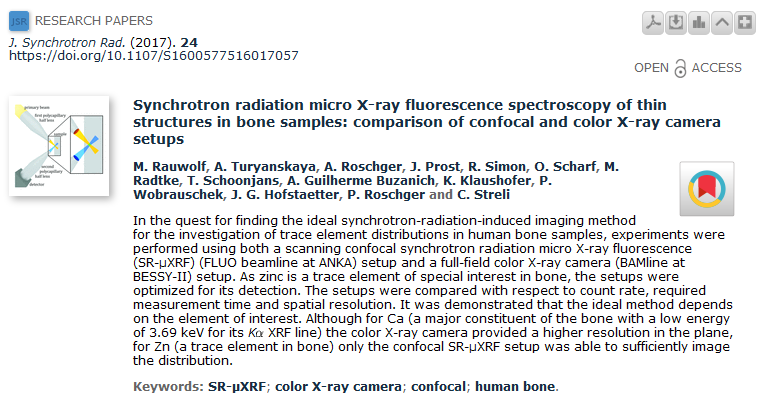 It will be published in the January 2017 issue of the Journal of Synchrotron Radiation. You can already read it online if you follow this link.